TIRANA – Minister for Europe and Foreign Affairs, Ditmir Bushati held today a meeting with Minister of Foreign and European Affairs, Immigration and Asylum of the Grand Duchy of Luxembourg, who is making an official visit to the country. Today’s meeting in Tirana reaffirms the common will of both governments to strengthen and intensify cooperation between our two countries. Minister Bushati informed his counterpart about the concrete steps undertaken by the Albanian government in the field of reforms for the fulfilment of the membership priorities, especially the justice reform, which involves each of the priorities and above all the life of every Albanian citizen. 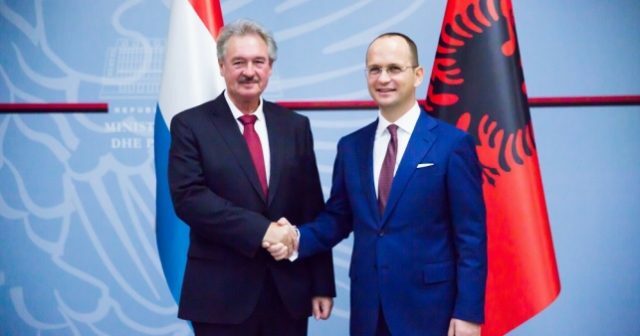 “Albania is grateful to Luxembourg for the support it has given in the process of European integration since the candidate status was granted up through the difficult process of reforms, which we hope will soon lead us towards opening of membership negotiations,” Bushati stressed. In this context, parties committed to conclude as soon as feasible the agreement on avoiding double taxation, which would provide facilities for Luxembourg investors who wish to invest in our country and vice versa. Bushati praised Luxembourg’s attention for the Balkan region and his position in favour of the advancement of our countries towards the EU and particularly of Albania’s efforts in this process. Ministers shared the opinion that regional cooperation has improved considerably in recent years, especially in terms of political dialogue and increased communication between countries in all dimensions. 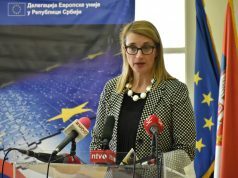 “We are working hard that the Western Balkans become a space of peace, economic and trade cooperation without obstacles and barriers, thus investing in a common, prosperous future, strengthening friendship and moving towards reconciliation”, highlighted Bushati. During the press conference, which followed the bilateral meeting, Minister Asselborn highlighted some of the most important recent events in the EU, referring in particular to the events in Spain, the elections in Germany and Brexit. 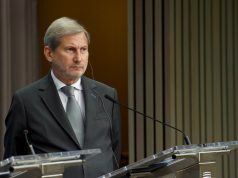 In this context, he stressed the importance of EU enlargement including the Western Balkan countries. 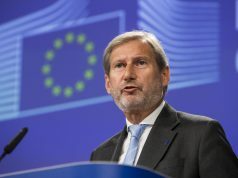 “In 2009, Albania submitted its formal application for EU membership. In 2014, it received the status of candidate country, and 2018 may be a very good year for opening negotiations. There are good opportunities and Luxembourg will continue to support it in this process,” Asselborn emphasized.